This weekend at Davies Hall, SFS chorus director Ragnar Bohlin will be leading the orchestra and chorus in a seasonal performance of George Frideric Handel’s celebrated choral masterpiece, Messiah. Composed in 1741, Handel (pictured left) managed to finish the work he will always be most remembered by in a mere 24 days. Messiah is an oratorio, which one can think of as a play of sorts for vocal soloists, chorus and orchestra. The form is usually performed in a religious setting, and is often based on biblical stories and scripture. This work, in particular, is based on the birth, life and transfiguration of Jesus Christ, and is often performed by orchestras and choruses throughout the world during Christmas time. Messiah was a collaborative effort between Handel and English art patron Charles Jennens, who compiled scriptural text from the King James Bible for Handel to set to music. Although Handel was German, he spent a majority of his life and career as the court composer to the British crown. Jennens would collaborate with Handel on several other oratorios in addition to the Messiah, for which both men are known best. The story begins with the prophesies of the prophet Isaiah, who foretold the last judgment and the birth of the Messiah. The first three scenes of the first part deal specifically with Isaiah’s prophesies, and a majority of the words were taken directly by Jennens from the Old Testament Book of Isaiah. The words for the remaining scenes of the first part come from the New Testament, and detail the birth and life of Jesus Christ. The second part of the oratorio examines the Passion (the days and hours leading up to the Crucifixion), death and resurrection of Christ, with the music and words ranging from extremes of great sadness and triumphal joy. Handel’s method of orchestration is typically sparse, and the orchestral and choral forces required by the composer for the oratorio’s performance was relatively modest. 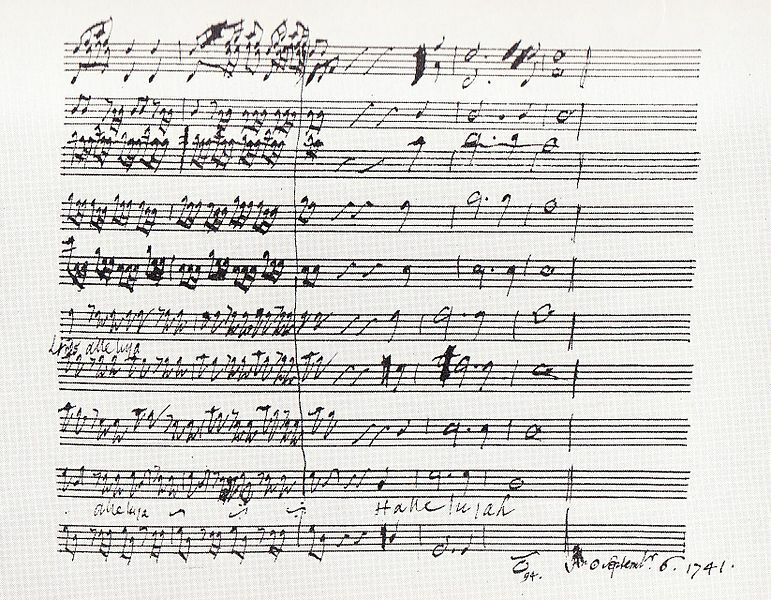 However, many composers familiar with the work, such as Wolfgang Amadeus Mozart, would rework Handel’s orchestration in order to amplify to emotive power of the work, particularly in this famous second part. 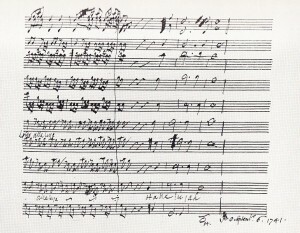 This part is also best known for its concluding scene, where “God’s ultimate victory” is triumphantly celebrated with Handel’s famed “Hallelujah Chorus” (the final bars of the scene are pictured above right). Handel follows up the universally-renowned climax to the Messiah oratorio with a third part that reflects upon the deeds of Jesus Christ during his life and acts as a sort of closing prayer to the work as a whole. The final scene “Worthy is the Lamb that was slain,” is a bittersweet reflection on the death and transfiguration of Jesus Christ, and is followed by a heartfelt “Amen” chorus that acts as a final statement and conclusion to Handel’s masterpiece. All in all, the final part to the Messiah is a fittingly subdued conclusion to an oratorio that stands as one of the most widely performed celebration of the life, death and resurrection of the Christian messiah. Handel’s oratorio surely is the musical epitome of the spiritual connotations of the Christmas season, and will be performed regularly by orchestras and choruses several centuries to come. Let us know your thoughts on Handel’s Messiah and the SFS!